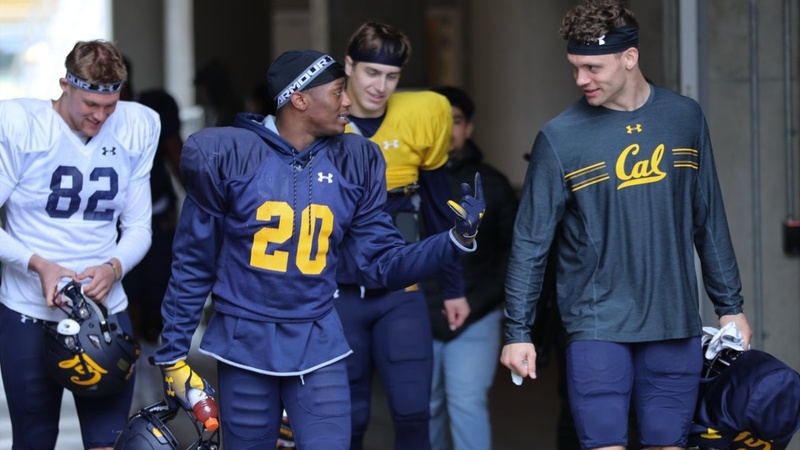 Cal held its annual spring football game Saturday under gorgeous skies and with an enthusiastic audience of an estimated 1,500 supporters who had their first chance to see their team under what resembled game conditions since the loss to TCU in the Cheez-It Bowl in December. The one real downer of the day was an injury to running back Chris Brown, the soon-to-be sophomore, who had been running with the first unit for most ot the spring. On a play in the fourth sequence of the contact scrimmage, he somehow turned his ankle after a nice catch and run on the sideline.